The Giving Key Continues To Pass On Hope. When we heard about the company The Giving Key we knew it would be something that we would have to be a part of and share with our teens at the Sulzbacher Center. The Giving Key is a company that uses recycled keys and engraves them with an inspirational word, providing hope and encouragement for the person wearing the necklace. Caitlin Crosby got the idea by wearing an old hotel room key on her necklace realizing that in a way we are all like keys, flawed, unique, scarred and at risk of being discarded. Which in most ways is how the teens and adults staying at the Sulzbacher Center feel. They feel unloved, discarded and have lost hope that they will be able to get back on their feet. 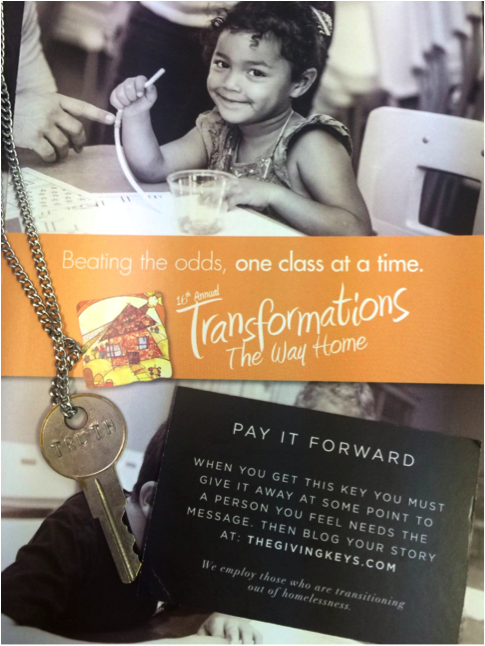 We are so fortunate that the Giving Keys were donated to us so that our Transformations honorees could pass along the message of hope, courage and strength. This year Transformations showcased how education is positively impacting the lives of homeless children and young adults on the First Coast. Even in the face adversity time and time again, we see homeless youth persevere with a little help from the Sulzbacher Center. This year we gave Giving Keys to Eleshia, Reggie and Geraldo. 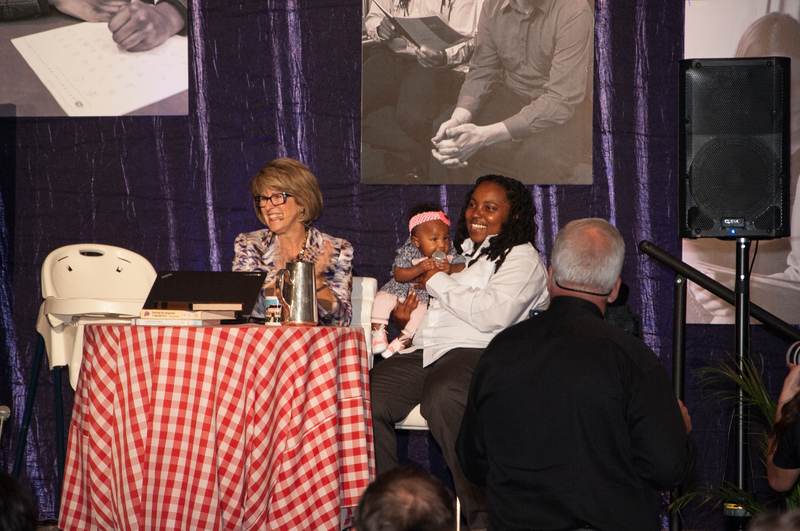 Eleshia was a young mother who was struggling with addiction and trying to care for herself and child. When Eleshia’s son passed away she was lost. She was living on the streets and getting high. “I found my way to the Sulzbacher Center and within a few days they had a spot for me,” says Eleshia. “My life changed for the better from that minute. I’m not saying it’s been easy. There were times when it was hard. But I’ve been moving forward ever since.” Every key in the world is made with a purpose and has a story to tell just like Eleshia’s. Eleshia has been through a lot in her life and her key is a reminder that if she can believe it she can achieve it. We can’t wait to see Eleshia pass on her key to someone else that needs encouragement in a time of crisis. To hear more about Eleshia’s story visit click here.